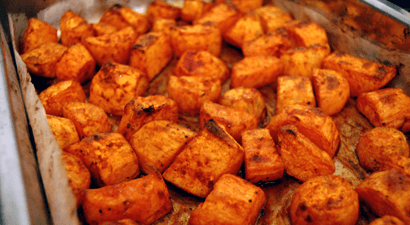 Wash and cut sweet potatoes into cubes. Toss potatoes with oil and spices. Bake until mixture is tender and lightly browned, approximately 30 – 45 minutes, turning halfway through baking.